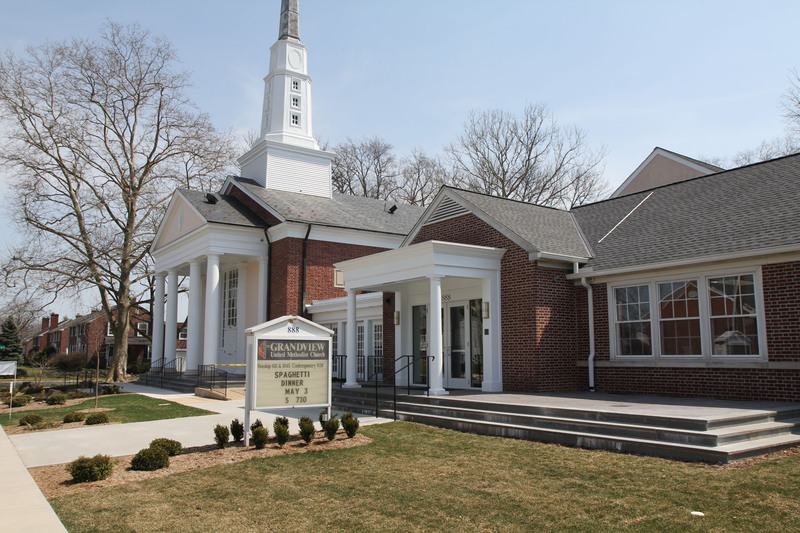 This project is an excellent example of how we worked with a 3-part team that also included the contractor and church building committee, headed by a structural engineer. There were numerous obstacles and challenges to tackle that started with the need for more space where no additional land was available in this city neighborhood location. 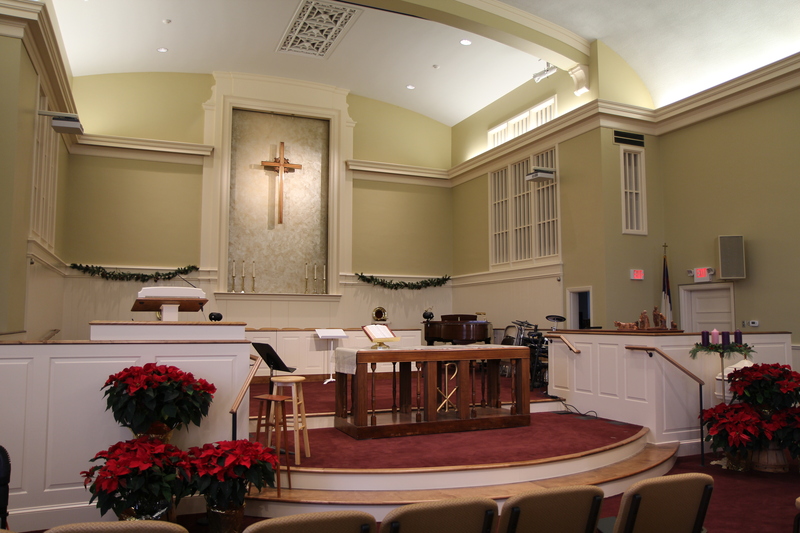 The historical and architectural character of the sanctuary and chancel area needed to be maintained while it was adapted to accommodate both traditional and contemporary worship services. 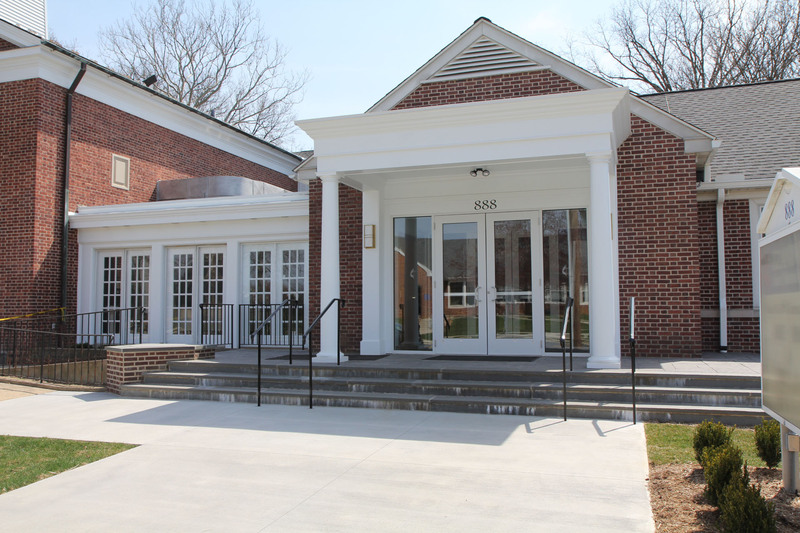 The exterior improvements include a new porch and entrance doors that are easily accessible by ramp access for the handicapped from the sidewalk. Sidewalks are now wider to accommodate pedestrian and wheelchair movement. Porch columns on the façade of the new entrance mirror the columns on the entrance to the main sanctuary for a consistent exterior design that integrates the old and new. Glass doors with full glass sidelites bring the exterior view into the new entrance area that provides a connection with the neighborhood and introduces natural light in the new interior. Passersby can see the activity within, which is both a safety feature as well as an enticement to join in the church activities. 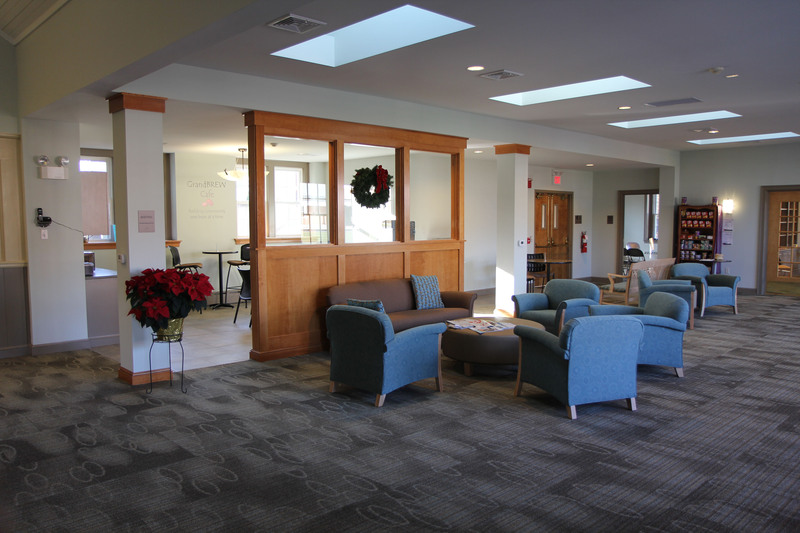 An expanse of glass-paned floor-to-ceiling windows connects the new hallway from the sanctuary to the new entrance while appearing to be part of the original building. 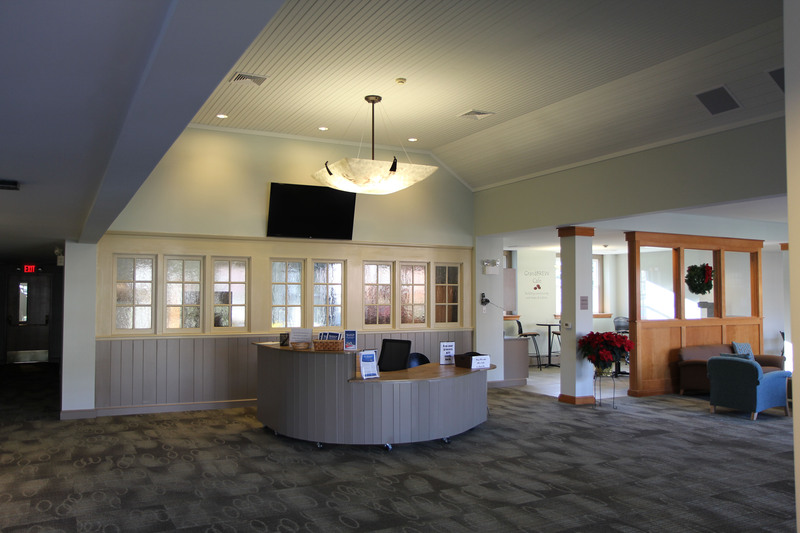 The area inside the new entrance is a spacious, welcoming environment with a receptionist desk, comfortable seating, plenty of room for socializing before and after church gatherings, and a small café for intimate sized groups. The childcare area is concealed behind the interior wall, yet connected to the open area through the design use of textured glass interior windows. Neutral colors used in the carpeting, ceilings, and walls add to the generous sense of space throughout. The comfortable seating areas just outside the small café are popular gathering places for the congregation before and after services and at non-service functions. As part of our design/build process, our team worked with members of the church building committee and congregation-at-large to provide the color schemes, assist with furniture selections, and determine the overall layout and placement of furniture for maximum efficiency and comfort.